Epson today launched six projectors, four for home use and two for the SMB’s and the educational sector. 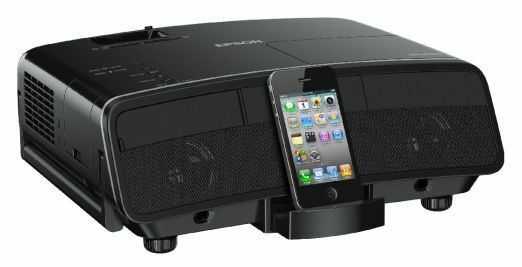 The outstanding amongst these was the Epson MG-850HD, which comes with an inbuilt iPod/iPad dock. 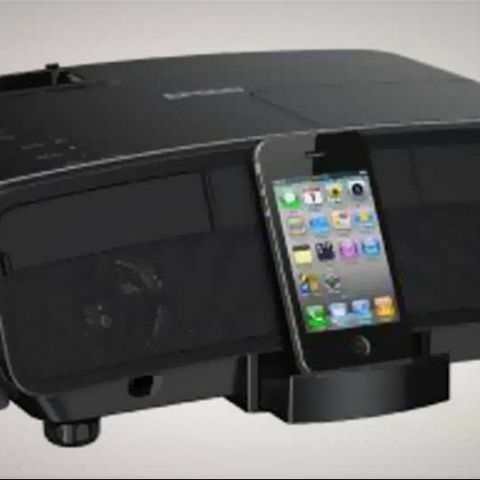 You can listen to music from the two 10-watt speakers while the projector is in standby mode or watch photos and videos from your iPhone/iPad projected on screen. You can control the interface from the projector remote directly. The Epson MG-850HD is priced at Rs. 49,900 and has a widescreen WXGA (1280 X 800 resolution) with a brightness of 2,800 lumens. The other three projectors for home use are the Epson EH-TW6000, the Epson EH-DM 30HD and the Epson EH-TW480. The Epson EH-TW6000 is a full HD 3D projector priced at Rs. 1,10,000. The projector is also capable of 2D to 3D conversion. Users will have to invest in active shutter glasses to take advantage of the projectors 3D capabilities. The projector has a fast 480Hz 3D refresh rate, which addresses the brightness issues of 3D projectors. The Epson EH-TW6000 has 2,200 lumens of brightness. The Epson EH-DM 30HD is a 720p HD projector with an inbuilt DVD player, two 10-watt speakers and 2,500 lumens of brightness. The device is priced at Rs. 52,000. The Epson EH-TW480 is priced at Rs. 48,000 and delivers a brightness of 2,800 lumens. The projector is HD ready producing a maximum resolution of 1280x720. The projector also offers different modes such as “game” and “living room” to adjust to the different content being consumed. On the business/educational front, Epson has launched two projectors - the Epson EB1800 series and the Epson EB-400 series. The Epson EB1800 series offers a high brightness of 4000 lumens for use in bright environments and also includes network capabilities to receive images and audio signals and for monitoring purposes as well. The EB1800 series is priced at Rs. 87,200. The Epson EB-400 series is a short throw projector ensuring a large screen size from short distances. The projector can also be fitted with an optional Epson ELPIU03 interactive module giving the projector the interactive capabilities of a whiteboard.